Lampara Books' epic fantasy series Moymoy Lulumboy returns with its fifth book. Dubbed Moymoy Lulumboy: Ang Lihim Ng Libro, the adolescent novel takes readers to the enchanting world of Gabun where local mythological creatures like aswang, duwende, manananggal, kapre, and tikbalang co-exist with each other and fight for communal peace. The latest installment continues with the journey of Moymoy Lulumboy as he struggles to cope up with the death of his mother Liliw and contend with his legacy as the hero that will save Gabun from evil forces. 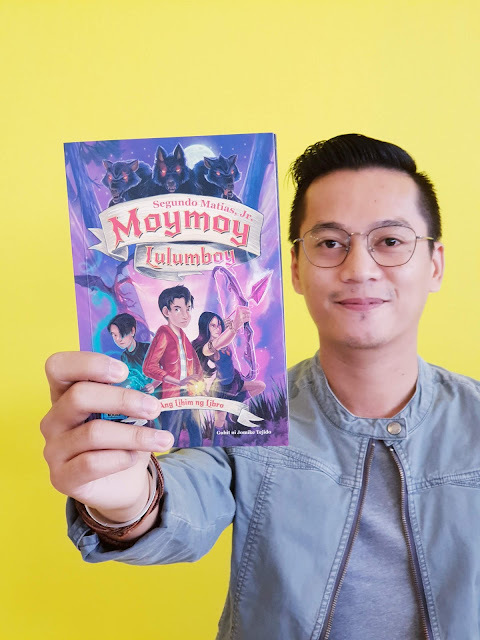 Moymoy Lulumboy, whose shape-shifting powers resemble that of an aswang, is slowly transforming into a character with a little darkness and aggression in his soul, but whose kindness and compassion remain throughout the coming-of-age conquest. The Young Adult series has received glowing reviews from book critics and readers, with Philippine Daily Inquirer including it in the top 10 books of 2014 and praising its "solid efforts at further modernizing our own myths." 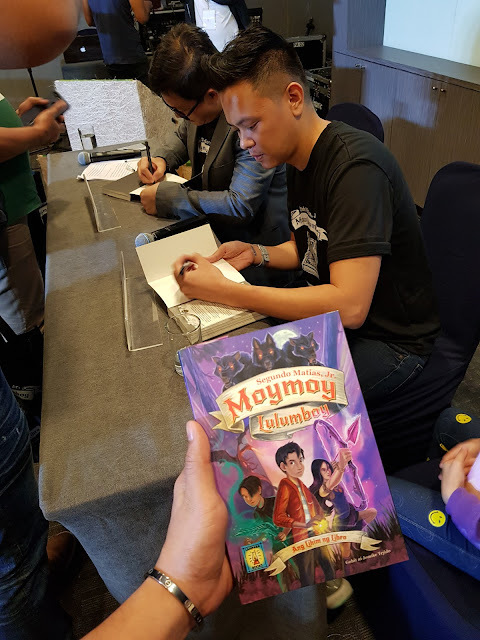 Interaksyon's Romsanne Ortiguero also raved about the franchise, particularly the fourth installment, Moymoy Lulumboy: Mga Dulot ng Digmaan for taking the audience into a "gripping reading experience as new characters and challenges were introduced." 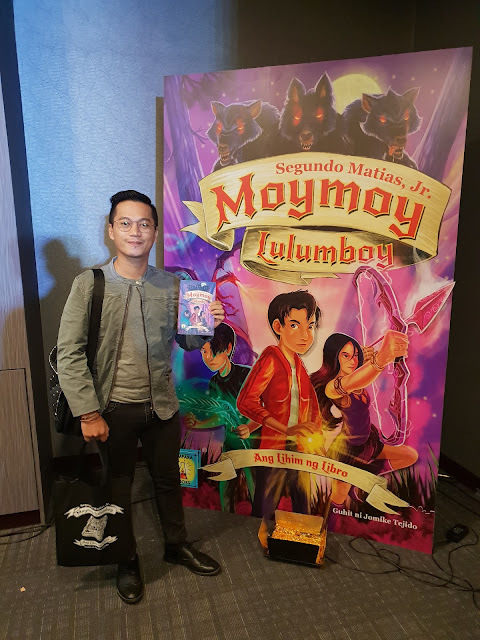 With the growing public interest on the franchise, ABS-CBN recently acquired Moymoy Lulumboy with plans of developing the series into a TV series, film, digital piece, merchandise or an attraction. 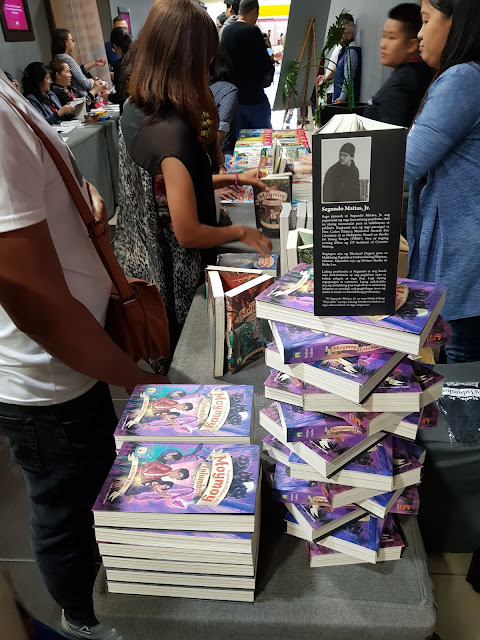 Palanca-awardee and best-selling author Segundo Matias Jr. recently launched the fifth book last September 14 at the SMX Convention Center, Mall of Asia Complex, Pasig City. It was one of the highlights of the Manila International Book Festival (MIBF), where top local and international authors debut their work to the general public. An expert in telling stories targeted to a younger demographic, Matias threads a coming-of-age story skillfully while opening the reader's soul to an entertaining genre romp that's characteristically Pinoy at heart. To date, he has published over 1,500 books via his two publishing imprints, Precious Pages Corp. and Lampara Publishing Co.
On the latest installment of Moymoy Lulumboy, he collaborates with Jomike Tehido-- a prolific architect, author, illustrator, and painter whose compelling fusion of unorthodox styles has led to solo exhibitions in the Philippines, Singapore, France, Japan and United States.